Work needs to be completed. Who does the work doesn't matter most of the times. Not a single person can do all the work. So work needs to be shared. One who defines work and the one who does the work need not be same all the time. On many occasions there are different people involved at different steps of the process required to complete the work. Those who get nominated to do a work get the vote of confidence to work by the master who defines the work. Only who defines the work can give the deadline for the work. The post-process steps of the work can only be decided by him. It is the vote of confidence on him. When a work is shared on your shoulders you have won the vote of confidence amongst all others who exist, and hence you deserve to take ahead the work. No work is work done until it is completed. There must be a time decided as to when the work needs to be completed. Only that target time can give the ultimate zeal for someone to complete the work at the best speed by walking extra miles. Earning just the vote of confidence to start a particular kind of work is insufficient. One should also win the belief that s/he can carry forward the work in the right direction, give it a perfect destination and also live up to the work done. When this kind of confidence on your partner lacks in you, no matter when the work starts, it never gets completed. It just becomes a never-ending process. It doesn't lag in progress because you or your partner is working very slowly on it. It becomes a deadline-never-met project because none has decided the delivery date of the work. Each one is investing his/her time in every other possible work that comes on the table than on the work that was shared between the two. When there is no clarity of the kind of output that shall be created and not much confidence on the person with whom you are sharing the work, it's difficult to set a deadline and follow up each other to achieve it. That's when we leave the decision to time to take care of the work and ask the destiny to make the project reach its dead end. At the end it becomes very easy for the work-definer and the work-executor to blame it on God that He wanted the work to get delayed and lagged until it reached its completion. If the objective is to complete the work then a firm of vote of confidence must be bestowed on the person you share the work with, because you are the decision maker. 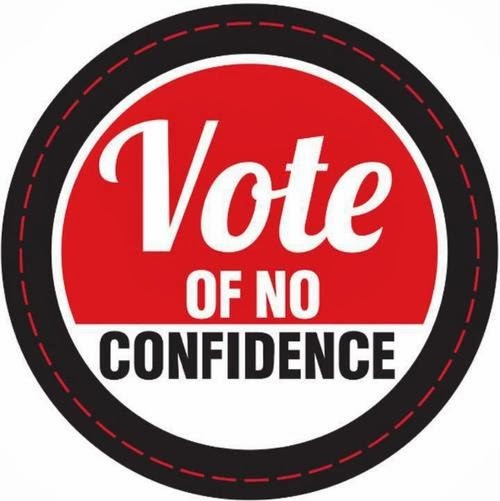 If you cannot feel the complete vote of confidence on the person you're sharing the work with, then, not only the work will be incomplete, the person you're sharing the work with also lose out his self-confidence as he is also not able to see the completion point of the work of which he dreamt of. That's where one should be very careful while choosing the person with the right vote of confidence so that s/he can share about the complete plan of action of the work than just merely defining the work so that everyone on the project is clear about the delivery point. No matter how long you work what matters at the end is whether you deliver your work or not.